We lived in Denver, Colorado for one year, and that winter we went skiing almost every weekend. We woke the boys up early in the morning to get on the road by 6:30AM for a 1 1/2 hour drive into the mountains. Our favorite resort was Copper Mountain, where this picture was taken from the American Flyer chairlift. 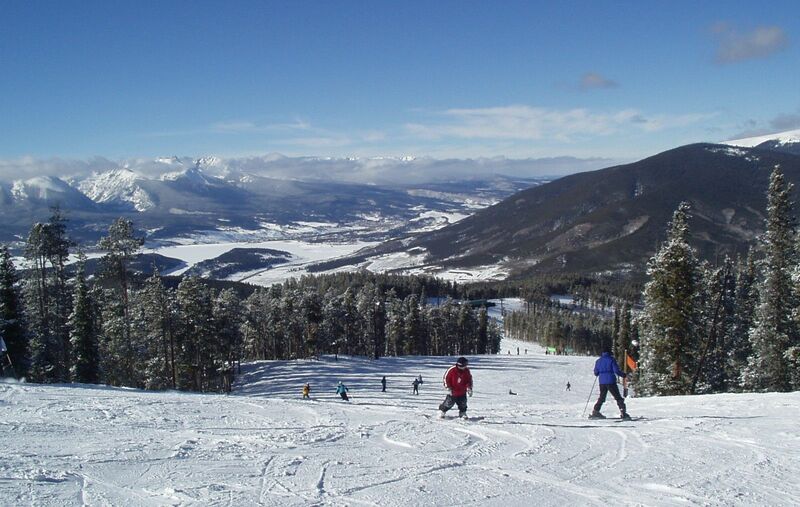 Another popular resort was Keystone, where this picture was taken. 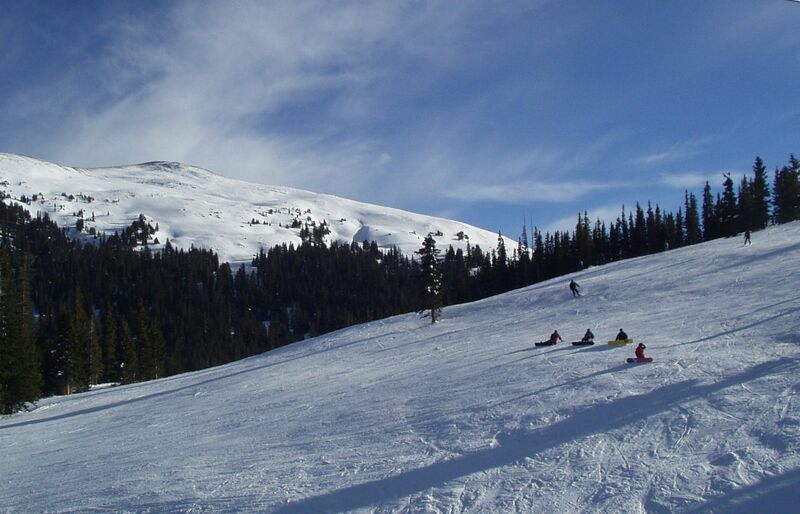 The boys were just learning to ski and snowboard, and both these resorts had great hills for them to play on. Later on, as they improved, we moved over to the more difficult runs. Since we've moved back to Minnesota, we've started a new tradition. Every winter, we road trip out to Colorado for a weekend of skiing and snowboarding.